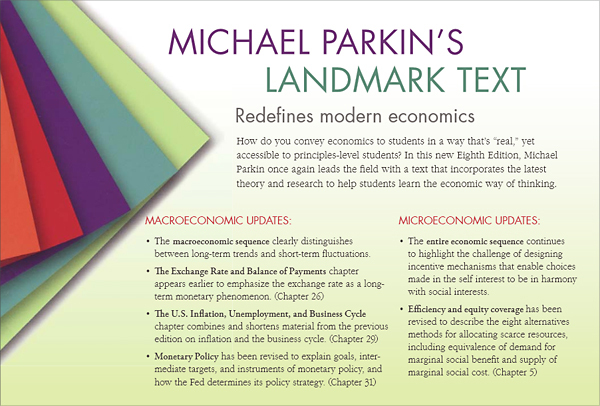 One of Addison-Wesley's best-selling textbooks is Michael Parkin's Economics, which was in its eighth edition and needed a brochure to promote it to college professors. 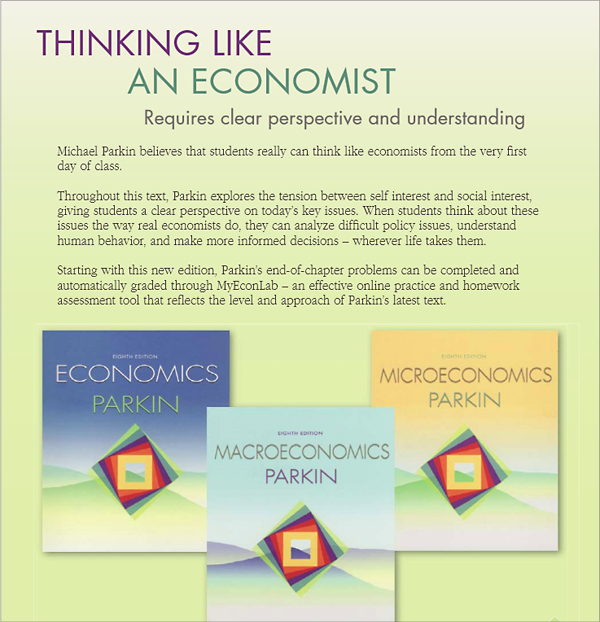 The concept for this promotion, "Think Like an Economist," reflects the author's approach to teaching economics in the context of current issues. 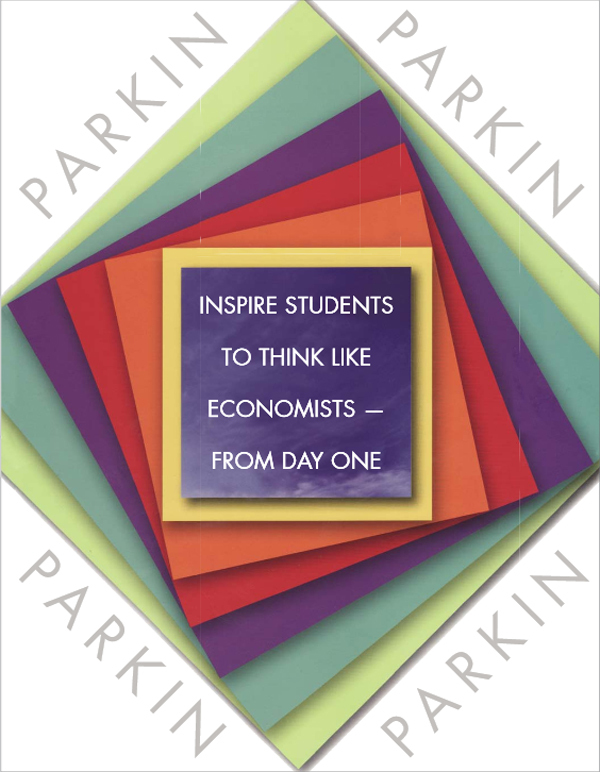 This brochure was sent along with a poster that professors could post to allow students to compete for a $1,000 scholarship. 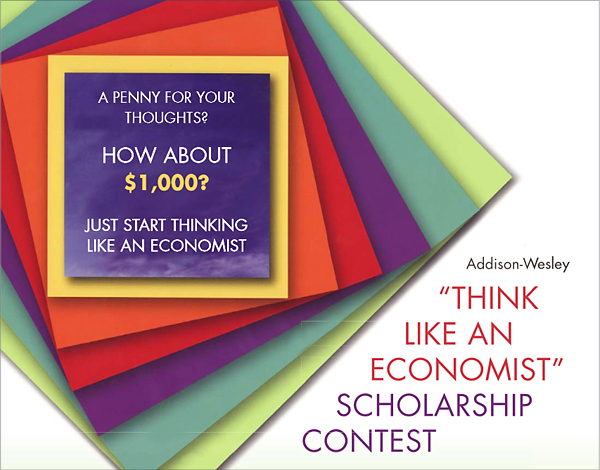 By encouraging students to think about policy issues through applying core economic concepts, they can do better in their classes, plus have a chance at that $1,000 scholarship. See excerpts below. Or read the complete copy in this PDF.